Our school music tours are usually funded by schools or parents, but we’re all too aware that for many ensembles touring is just not an option financially. So last year we launched our Proud to Perform project in which we announced we were looking for a group who had all the drive and ability needed to tour but lacked the financial means to do so. 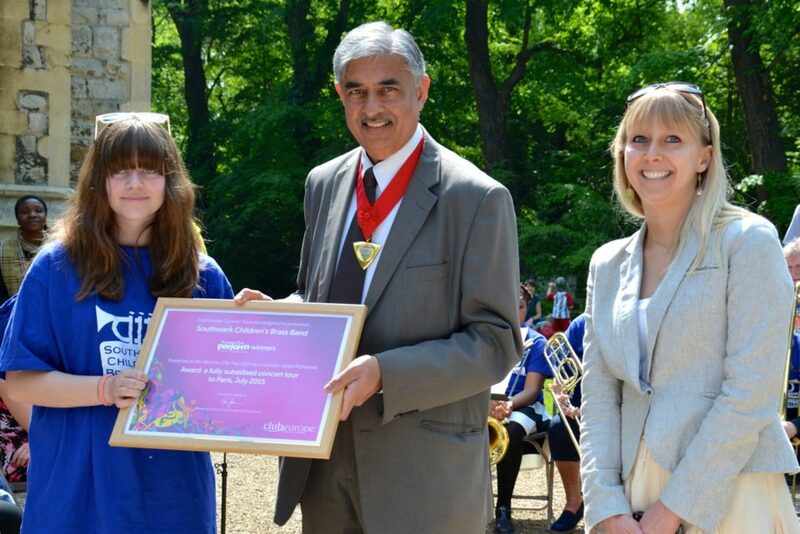 The winners were Southwark Children's Brass Band (SCBB), for whom we will fully fund a tour to Paris next summer, where they will perform at Disneyland.Southwark was one of many applicants for the funding, who were assessed by a panel of specialists with experience of youth music touring. This included Hanh Doan, music teacher at Beaumont School in St. Albans, music education specialist Jackie Schneider and a Y11 music student from Barnet. 'We were impressed with Southwark’s independence,' said Jackie Schneider. 'They have managed to sustain themselves as a small charity over many years. They are a young group and I hope this funding is the start of a long legacy of touring for the group and the beginning of a culture change for them, which will raise their overall expectations. Follow Proud to Perform on Twitter or click here for more details of Club Europe.